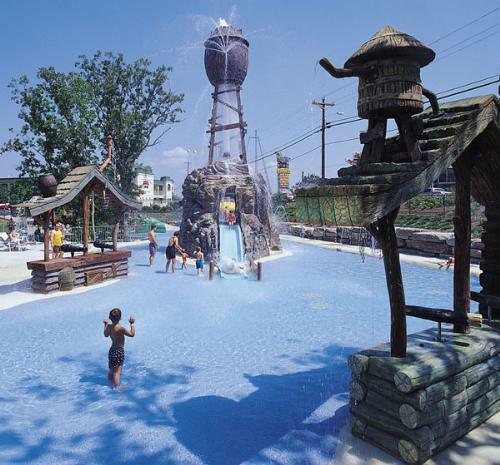 Located in the heart of Branson, this exciting destination offers lodging and entertainment the whole family can enjoy. Grand Country Inn features spacious accommodations with free Wi-Fi, full-size baths, refrigerators, microwaves, coffee makers and other in-room conveniences. 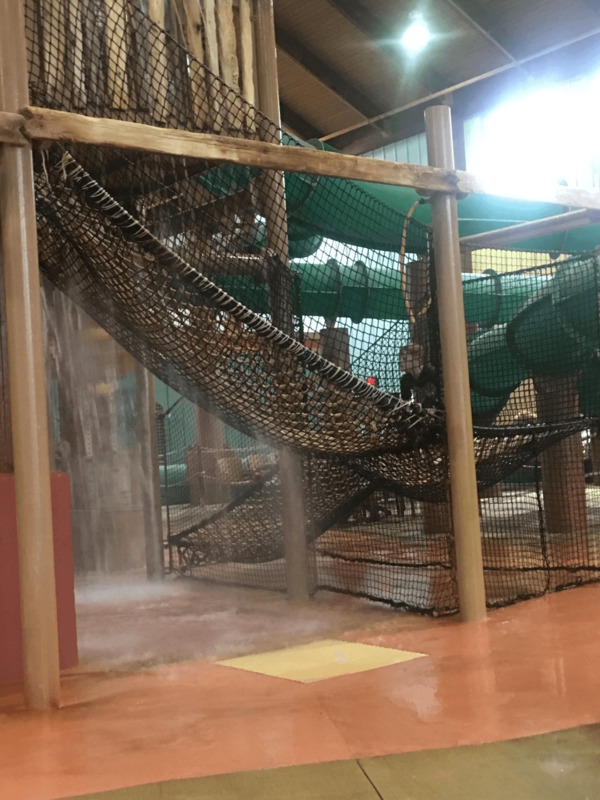 Guests can also enjoy the on-site indoor and outdoor water park, which offers a lazy river, spas, a waterslides and more. 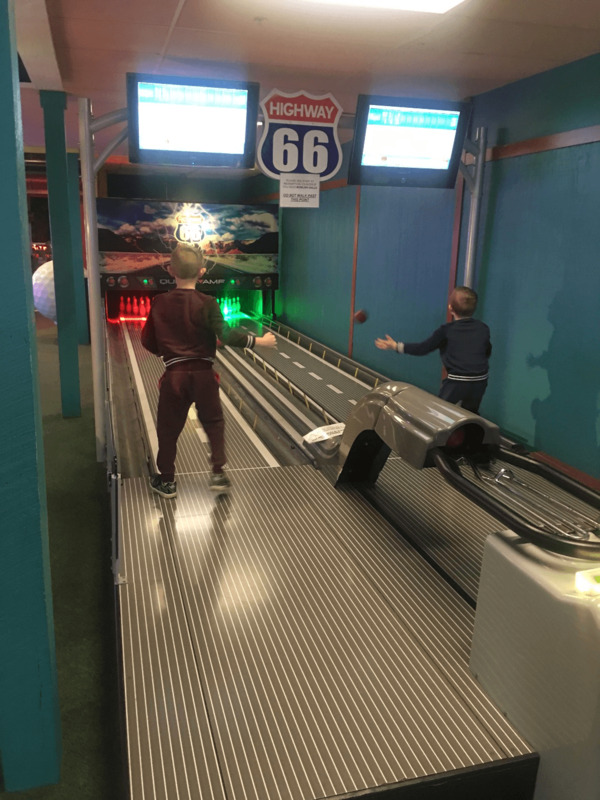 Family Fun Spot with indoor and outdoor putt putt, pizza buffet, and large game room on-site. Grand Country Music Hall shows featured daily. Fudge and Sweet Shop on property. Across the street from Outback Pub, Souvenir shop, Burger Shack and Shoney’s. Waterpark water is not heated in the winter. Amenities include free Wi-Fi, an on-site indoor/outdoor waterpark, and microwaves and minifridges in-room. 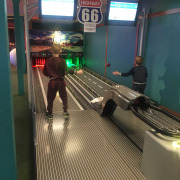 Grand Country Resort offers a unique vacation experience, featuring a large indoor & outdoor water park, restaurants, go-karts, mini-golf, arcade, shows and shopping all in one place. Our rooms are comfortable and spacious. If you want a little privacy, your kids will love our new clubhouse rooms, complete with bunk beds and a flat-screen TV for their enjoyment. Enjoy all-day water park fun at Splash Country, open 365 days a year, no matter what the weather is outside. 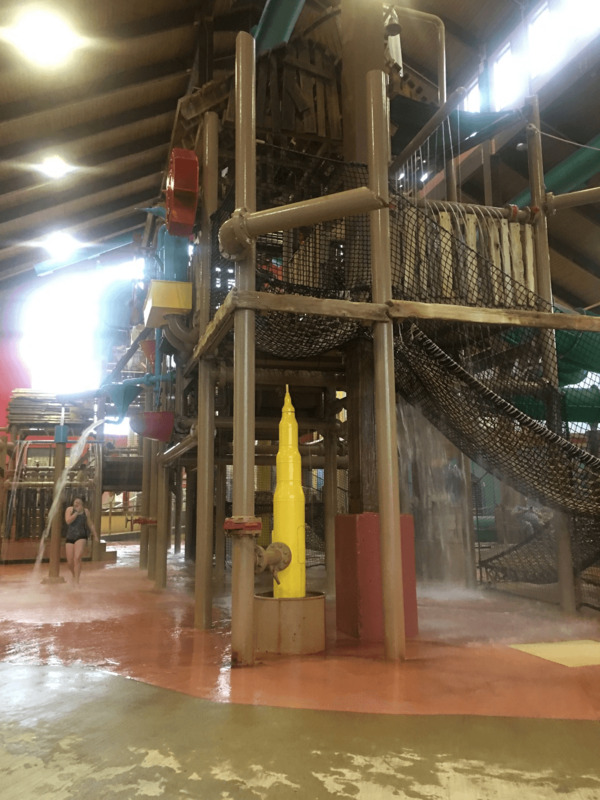 Featuring a three-story indoor treehouse, complete with water slides, a 1,000-gallon tipping bucket, toddler pool, lazy river and hot tubs, grill and more. Water park access is FREE to Grand Country Resort guests! 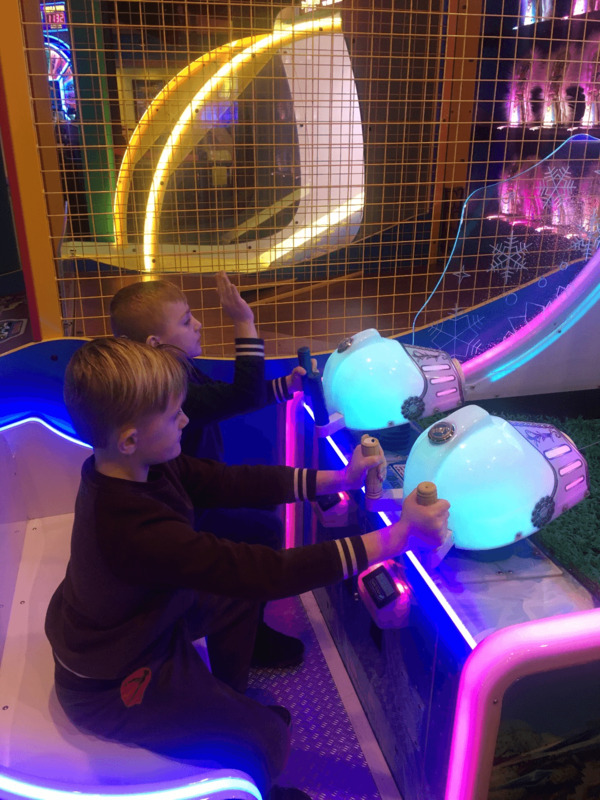 GRAND COUNTRY IS FAMILY FUN! How many rooms are available at Grand Country Inn & Waterpark? There are 319 rooms available at this property. There are three buildings at the Grand Country Inn & Waterpark. How many floors constitute the buildings at Grand Country Inn & Waterpark? Buildings 1 & 2 have 2 floors and no elevator. However, there are only 14 stairs to access the 2nd Floor. The other building has 3 floors and an elevator. 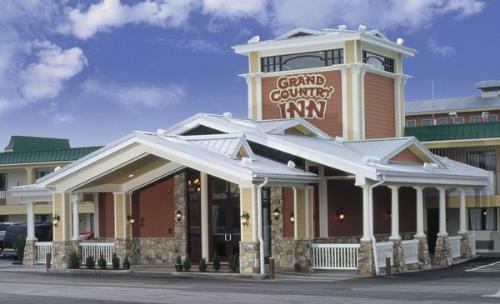 Yes, there is the Grand Country Buffet located on-property, as well as Papa Grand’s Pizza and Glenn’s Frozen Custard. 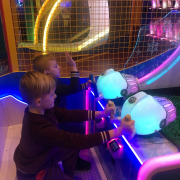 The Mining Company Grill is located inside the Indoor Waterpark and serves Flame grilled hamburgers, chicken & fish sandwiches, chicken caesar salads, fries, chips, cookies, funnel cakes, soft drinks and our incredible smoothies. The Mining Company Grill is open Friday-Sunday, with expanded hours offered during peak season. 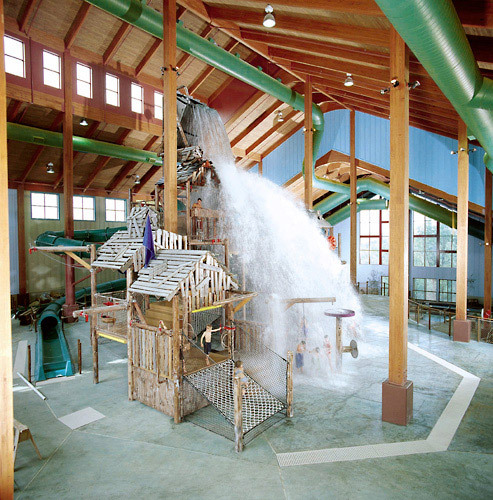 Do you have a minimum age required for check-in at Grand Country Inn & Waterpark Hotel? Are there any resort fees at Grand Country Inn & Waterpark Hotel? Do you charge for cribs, rollaways, microwaves or fridges at Grand Country Inn & Waterpark? Cribs are free to guests. Rollaways are $9 plus tax per night. A fridge is $10 plus tax for length of stay. Microwaves are not available. What are the pool hours at the Grand Country Inn & Waterpark? The indoor pool is open from 8:30 am - Midnight. 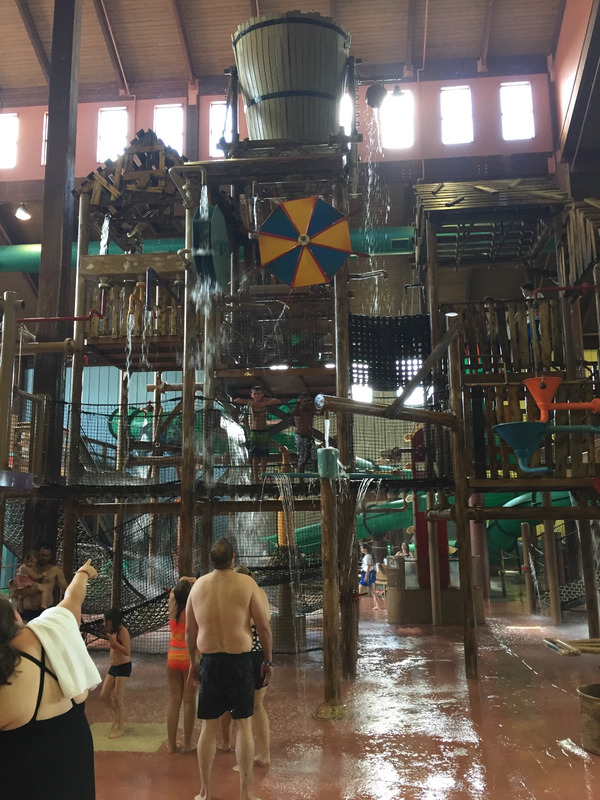 What are the hours of the Grand Country Indoor Waterpark? Hours for the waterpark vary. There is not a set schedule of operations. 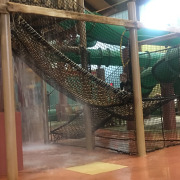 Generally, the indoor waterpark is open from 10:00 am - 10:00 pm. During the off season however, the waterpark is normally operates from 2:00 pm - 9:00 pm. What are guests not allowed to bring to the waterpark? No outside food or drink is allowed at the Grand Country Indoor & Outdoor Waterpark. Is late check-in available at Grand Country Inn & Waterpark? 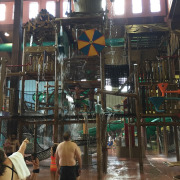 What is the water temperature at the Grand Country Inn Indoor Water Park? The water temperature is 82 degrees Fahrenheit. How much is a day pass to the waterpark for visitors that are not staying at the Grand Country Inn? 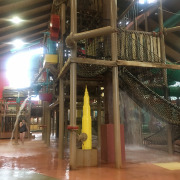 A day pass to the waterpark is $15 plus tax per person. Is there a continental breakfast served at the Grand Country Inn? No. However, the Grand Country Buffet serves a delicious hot breakfast each morning that is available for purchase. Are pets allowed at Grand Country Inn? What is the hotel's check-in policy? You must present a Photo ID and E-Ticket upon check-in with a valid credit card. They will keep your credit card on file but there will be no charge or pre-authorization attached to the credit card unless there is damage done to the room.